It’s well known that Chazaq events are always eagerly anticipated and well attended. 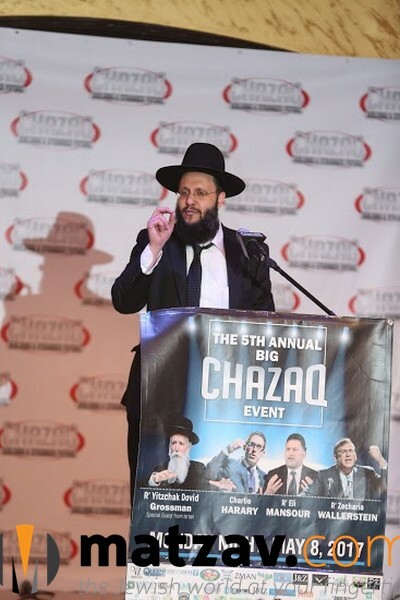 But no one could have predicted the massive outpouring of support and enthusiasm that was generated Monday evening, May 8th, at the Fifth Annual Chazaq Big Event. 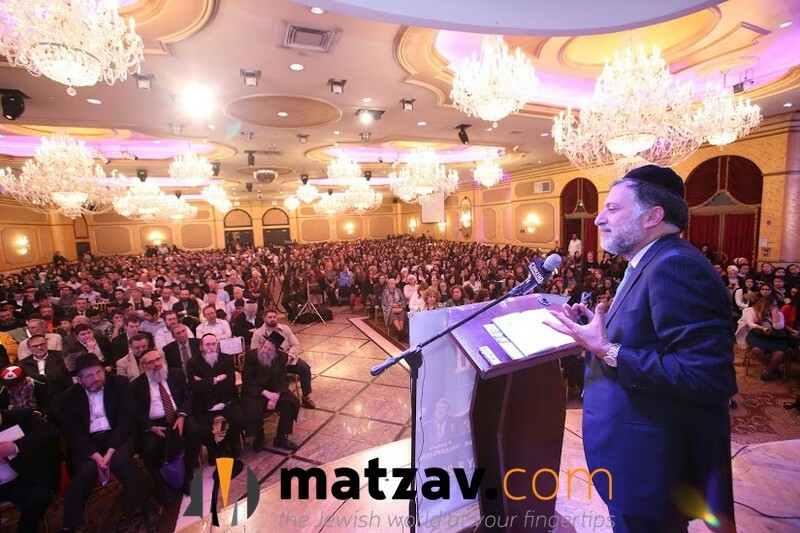 An estimated 2,000 people from all walks of life streamed into the Elite Palace in Woodside all night long and were treated to a truly inspirational evening. 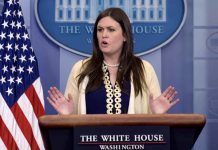 This event wasn’t merely ‘Big’. It was truly HUGE and a tremendous kiddush HaShem! 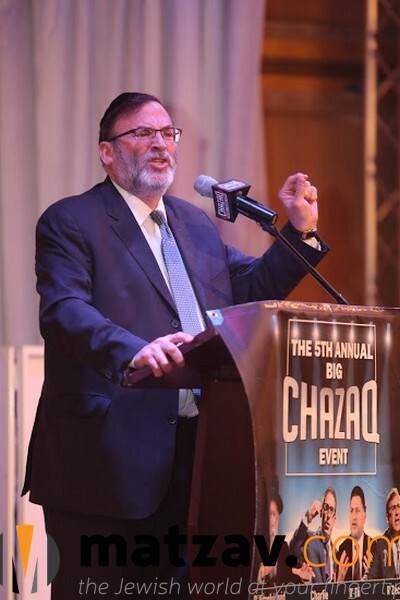 Chazaq is a Queens-based organization dedicated to building a stronger future for their community through a variety of outreach programs including dynamic lectures and presentations, Torah libraries, chavruta programs, publications and more. 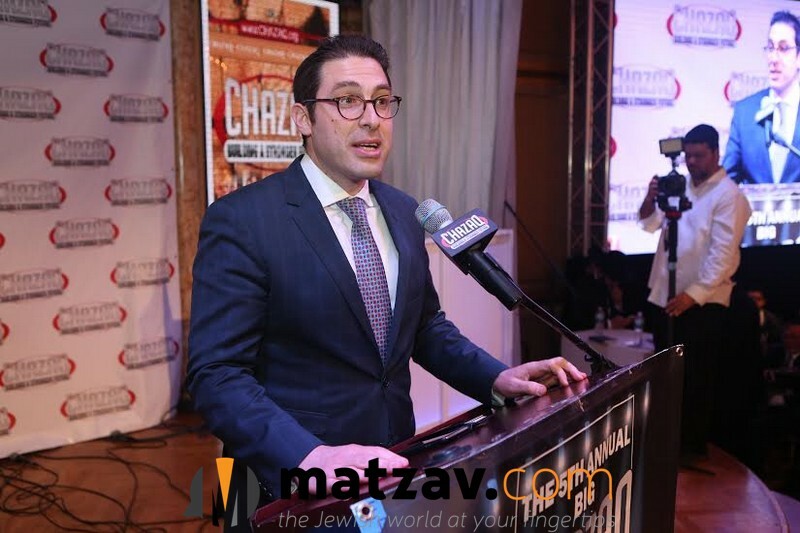 Most importantly, CHAZAQ places much emphasis on inspiring Jewish students who attend public schools by providing exciting and educational after school programs in numerous locations. Under the leadership of Rabbi Ilan Meirov and his younger brother Yaniv, Chazaq encourages us to strengthen ourselves while looking for ways to inspire others. Monday’s mega-event was star studded in every sense of the word. 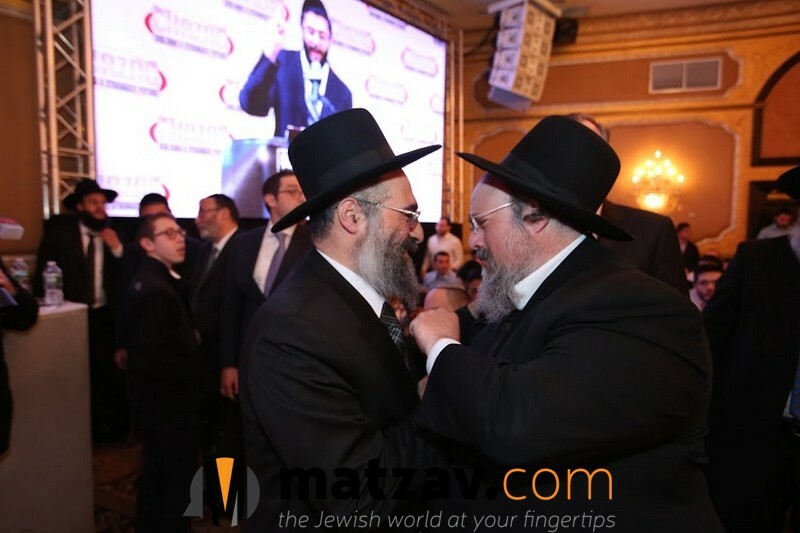 There was tremendous energy in the room, but also a sincere desire for Torah inspiration. 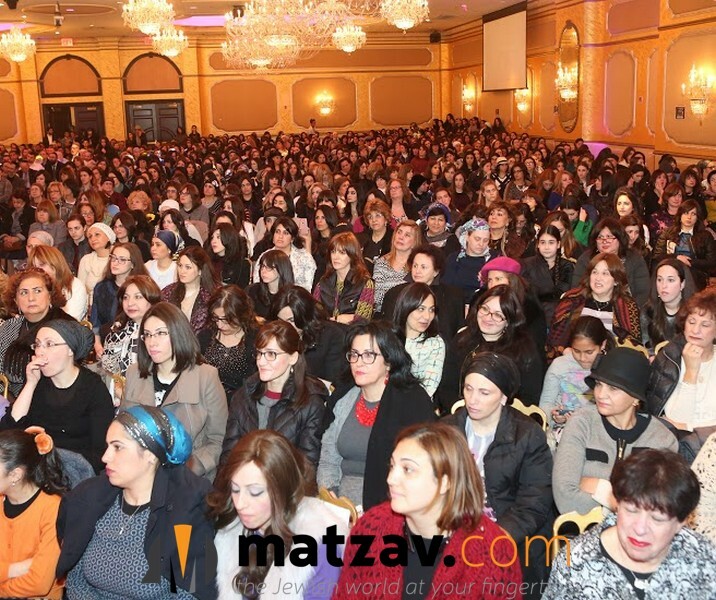 Men and women of all ages filled the Grand Ballroom and remained captivated and attentive throughout the program. Despite the overflow crowd, the event was organized and well planned. Dozens of volunteers ushered the guests to their seats, managed the flow of traffic, and ensured a successful evening. The evening opened with tehillim recited by Rav Ahron Walkin Shlit”a, Rosh Yeshiva of Bais Nosson Meir, and Kabbalas Ohl Malchus Shomayim by Rav Yitzchak Yisraeli, the newly elected Chief Rabbi of the Bukharian Rabbanut in the USA and Canada. 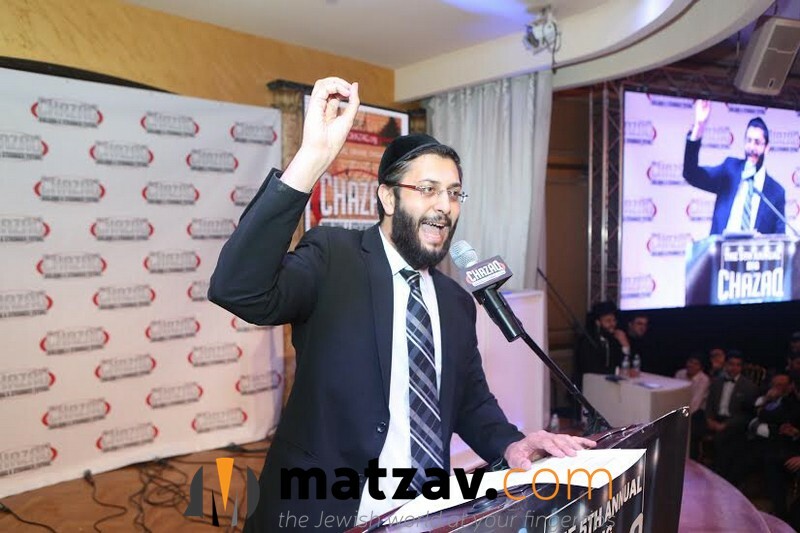 Chazaq Director Rabbi Ilan Meirov then shared a powerful lesson on how one must never give up on a single Yid, and spoke of Chazaq’s “No Child Left Behind” initiative, where Chazaq seeks to provide a Jewish education to the thousands of Jewish public school students in the Queens community. 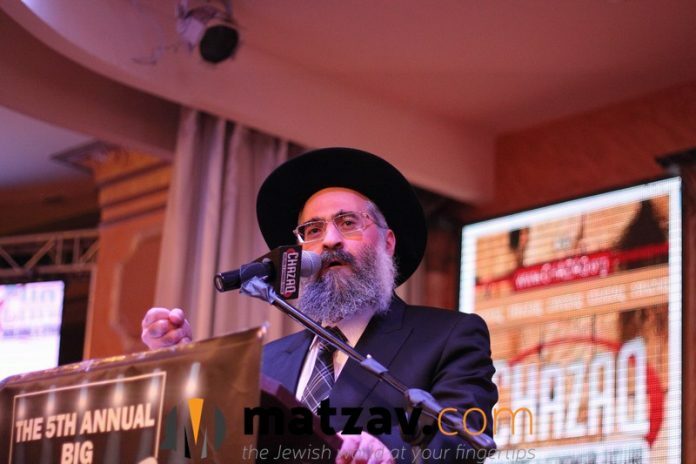 Rabbi Meirov shared that since the beginning of the initiative prior to Rosh Hashana, hundreds of public students have attended Chazaq programs and nearly 200 have transferred to Yeshivas, leading to a thunderous applause by the audience. Rabbi Eli Mansour was then called to the stage and spoke about the talmidim of Rabbi Akiva. What was their downfall? How did they fail? What does it mean that ‘shelo nohagu kovod zeh lazeh’? At Chazaq, inspiration is combined with entertainment for a totally awesome experience. 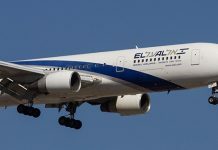 Thus were we treated to a short yet meaningful musical interlude performed by the Six-13 a cappella singers and featuring the young Binyomin Elbaz. But it was back to more inspiration soon enough, as we enjoyed hearing Charlie Harary illustrate the essence of becoming a hero. Rabbi Akiva had 24,000 outstanding students. He was the greatest leader of the Jewish people. But soon, says Harary, “things start to unravel.” The revolt ends unsuccessfully. The students start to die. And all seems lost. 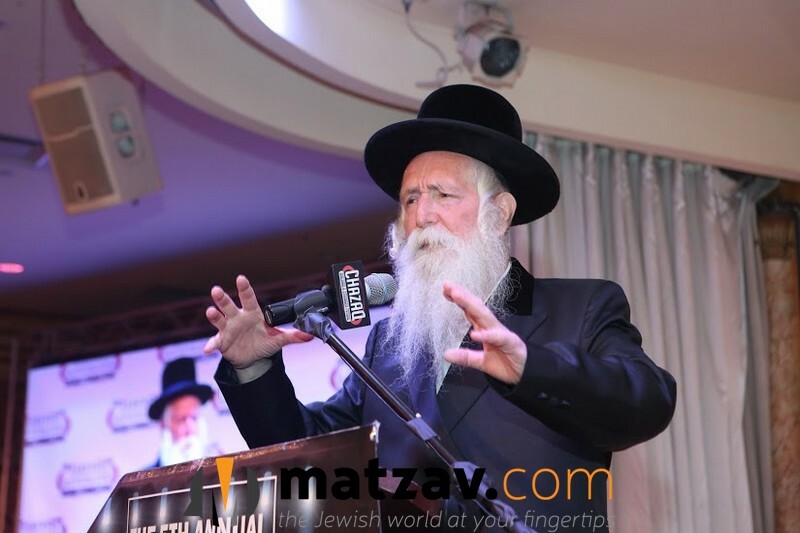 The highlight of the evening was no doubt the appearance of the esteemed Harav Yitzchok Dovid Grossman, Rov of Migdal Ha’emek in Eretz Yisroel. Rav Grossman’s very presence is itself an inspiration. His hadras ponim and distinguished demeanor is mesmerizing. 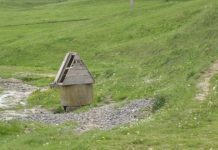 It’s easy to see how he was able to galvanize a community and bring countless Jewish souls to teshuva. According to Rav Grossman, when we say “Boruch Elokeinu Sheborohnu Lichvodo” we should recognize that Hashem created us for his honor. That is our mission as Jews. It was a poignant conclusion to an incredible evening, especially meaningful as we count the days towards Matan Torah. Thanks to Chazaq, we will continue to be inspired to build a stronger future for ourselves, our families, and the community at large. For more information about Chazaq’s many inspirational programs, visit Chazaq.org or call 917-617-3636.